With all the news about people making a ton of money online, many aspiring entrepreneurs are excited at the prospect of starting an ecommerce store. However, many people don’t think through all the things that they need to consider before they even start the process of building an ecommerce site. Here are eight things to consider before starting an online store. 1. What Products Are You Going to Sell? One of the most important decisions is determining which products you will sell on your online store. Your best bet is to start small – with a few select products that are based around a specific niche, i.e. breastfeeding products, scuba diving gear, hiking products, travel gadgets, hemp products, etc. Start with a handful of products in that niche – you can always add more products to your store as you grow. Check out your competition and see who you’re up against. Be sure to pick a niche that you’re personally interested in. If you’re not interested in what you’re selling, you will quickly lose your passion. Also, look for unique products that can’t be bought at Target, Walmart or other big brand stores — you will never be able to compete with them on price or promotion. For instance, when I had an ecommerce site, I searched for mom- or parent-invented products that weren’t available through mass market stores. Plus, these types of product manufacturers are typically more willing to work with you on terms and drop shipping (which we will talk about in a little bit.) You can also look for innovative products to sell on crowdfunding sources like Indiegogo or Kickstarter. When you determine which niche products you’re going to sell, see if there are industry associations, trade websites or magazines. If so, join, follow and subscribe. Also, if there are product tradeshows around your product niche, attend these trade shows to discover new products, speak with the manufacturer reps directly and learn more about the industry in general. Often at the tradeshows you will be able to negotiate better pricing or drop shipping arrangements – especially if the manufacturer is launching a new product and they’re looking for new distributors. Before you start any business, consult an attorney, an accountant and insurance agent, and find out what types of legal business strategies you need to take to protect yourself. Do you need to set up an LLC? Do you need product liability insurance (you probably do if you’re selling any product)? 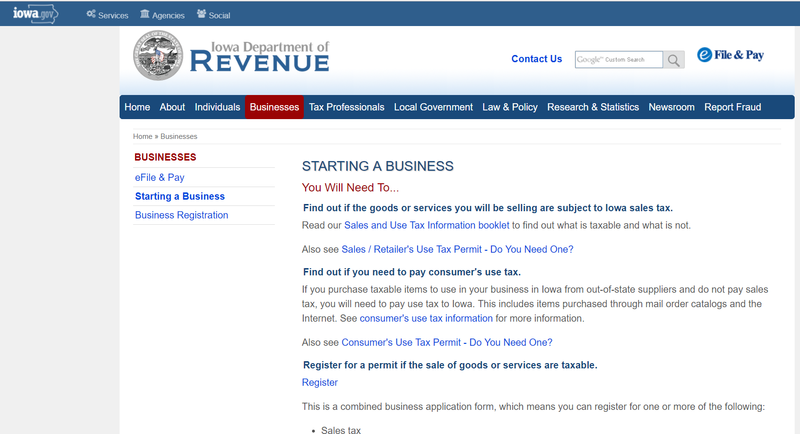 Does your state require you to register your business name and get a business license? You will also need a resale license to get a wholesale discount from manufacturers. Without a resell license you will pay full price for products – and there will be no room for you to make a profit. And what’s the point in that? Next, you will need to decide if you want to work with drop shipping companies/manufacturers that will ship products directly to your customers after you receive orders or if you prefer to purchase the inventory at wholesale prices from the manufacturers directly, warehouse the products and then ship the products/orders directly to your customers. There are pros and cons with each of these options – and many times you’ll need a combo of some drop shippers and some items that you will keep in inventory. You will need space in your home or a rental space to warehouse your product inventory. If you’re drop shipping products, work with the manufacturers directly when possible. Keep in mind that they will typically charge you a drop ship fee as well as shipping costs, so all those costs should be tracked in a spreadsheet to determine your profit for each item. For those products you inventory and will ship directly from your location, you will need to purchase shipping boxes, packing tape, shipping labels, a scale, setup accounts with the USPS as well as FedEx or UPS. Again, you must keep track of all these fees and costs so that you can see how much money you make from each item you sell. Establishing a solid return policy is a must for any online store. Making your return policy clear is not only good for your team, but it’s also essential to gain the trust of your customers. For instance, if a customer returns an order, do you also refund their shipping costs? Do they get a full refund, or do you charge a “restocking” fee? Part of a return policy also depends on the types of products you’re selling. For instance, for health and hygienic reasons, if you’re selling breastfeeding products and someone returns a breast pump, you legally couldn’t resell that breast pump. So, if you accepted returns on breast pumps, you would literally be at a loss for that sale. There are similar issues with intimate apparel, swimsuits, cosmetics and many other types of products. When writing your return policy, consider that you may need to spell out different policies for specific items you sell. One cost of doing business online is the cost of credit card processing. Luckily, over the past 20 years, collecting money online is easier than ever. PayPal, Apple Pay, Amazon Pay, Stripe, Square and other ecommerce methods like WooCommerce (a WordPress addon) and Shopify make it virtually seamless to include an “add to cart” button and credit card processing to your online store’s website. Again, you want to add the cost of credit card transaction fees to your spreadsheet for each product as a cost for each item that you sell. Most credit card processing companies will charge a per transaction fee and then a percentage based on the cost of the item(s) sold. Shop around for the best rate and the shopping cart/credit card processing tool that is easiest to integrate with your website. Collecting sales taxes from your ecommerce customers has always been a confusing and gray area – and it is probably going to get a lot more complicated in the very near future. Check with your accountant to identify the best strategy you should use in your ecommerce business. 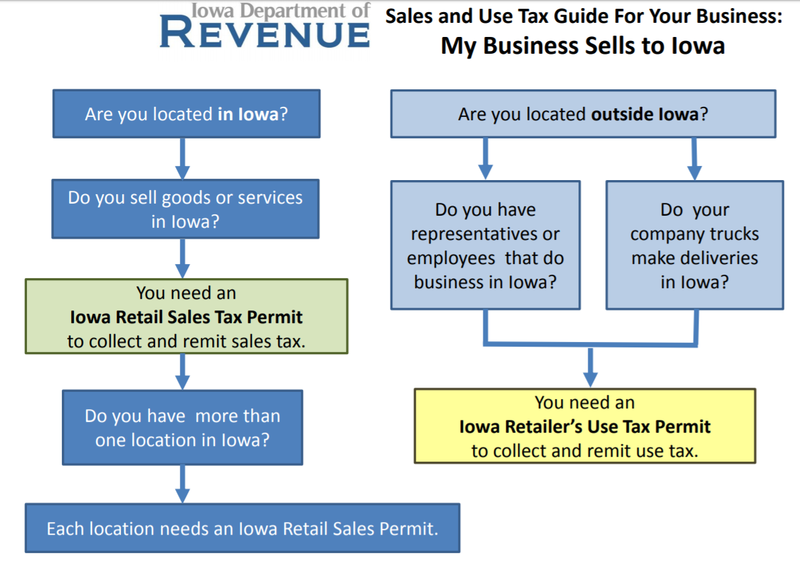 In most cases, you only need to collect sales taxes from customers in the state where you have a physical business location/”nexus” (like a home office or warehouse.) However, many main street local businesses are crying foul, claiming that online businesses have a significant advantage because in most cases they don’t charge customers sales taxes, making it more appealing for consumers to shop online vs. shopping local at a physical store. Because of this, cities and states are losing millions (and often billions) of dollars in sales tax revenues. Both the Main Street Fairness Act and the Marketplace Fairness Act allow states to require remote sellers without physical presences to collect sales tax if they join the Streamlined Sales and Use Tax Agreement (SST). Also, if you’re utilizing a fulfillment service with warehouse locations throughout the United States, you may have triggered a “nexus” (i.e. physical location” in those states.) This is especially true if you have an Amazon store or Amazon is doing your fulfillment. The government and Supreme Court are looking into these very complicated issues and online retailers are going to need to pay close attention and start planning ahead – eventually you probably will have to pay sales taxes to any city/state you have customers in. This means you may have to collect sales taxes from your customers, and then submit those sales tax funds to the city, county and state of those customers. If these types of laws pass, paying sales taxes will become complicated quickly – so start doing your research and preparing now. For instance, are you going to offer free shipping? If so, those shipping costs (including the costs of shipping supplies, like shipping boxes, packing tape, labels and the time it takes to pick and pack the orders) need to be added to the cost of each product. If someone orders more than one product from you, that impacts the size of the shipping box, the weight of the box and the shipping costs. However, it’s crucial that you have a good idea of what type of profit margin from each item you sell. Lucky for you, there are a TON of great options for building an ecommerce website. WordPress is a great option because the site you build is YOURS! WooCommerce or BigCommerce are great WordPress addons that add ecommerce functionality to a WordPress site. Shopify, Wix, Squarespace and most other proprietary platforms have ecommerce functionality options. The disadvantage of these types of sites is that you are at the mercy of staying with those platforms – or you don’t have a site. Setting up an Amazon or eBay store is also a great way to get into the ecommerce store world – but keep in mind that these sites charge steep fees. As you can see, there are many factors to consider before you jump into selling products online – and this is just the start of your concerns. But if you can complete the above steps, think through your product line, determine a fulfillment strategy, determine how you will market your store and use SEO strategies to get your site found, people CAN make money by selling products online.